These seminars are commercials disguised as news that pretend to be objective and informative but are, instead, slick sales presentations. Many of their attendees ultimately buy the presenters’ services, software, or products. How to purchase the best phone equipment. How to negotiate the best real estate lease. How to select the best contractor to build your office space. 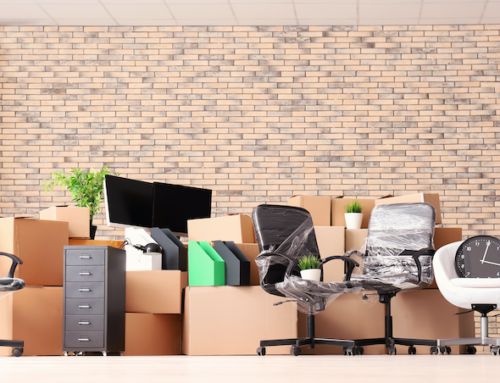 How to hire the best office mover. Invitee list: Working off our Wendover’s Office Relocation leads list of companies that were moving, we invited several prospects. Event pricing: While we printed a $35 price on the tickets to create value for attendees, they were never actually charged for the event. In addition, we gave each speaker unlimited free tickets to boost attendance even further. 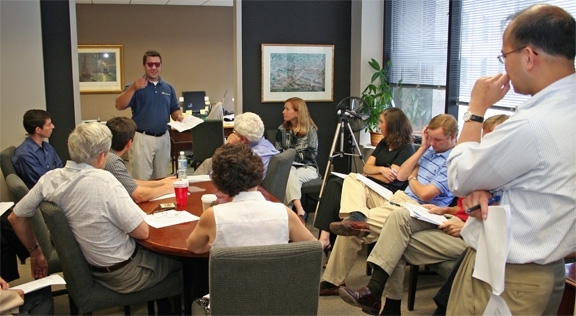 Venue: A local office furniture dealer paid for the box lunches and provided their conference room for the workshop. Since the conference room was in the back of their building, the attendees had to walk through their beautiful showroom to get to the luncheon. Instead of presenting, the dealer had several of its sales people sit among the attendees. Before and after each presenter, we thanked the dealer for providing the venue and delicious meals. Workshop content: Each presenter limited his (or her) presentation to exactly 15 minutes, allowing for five minutes of questions and answers afterward. Speakers were not permitted to blatantly promote their own product or service. Instead, each gave factual, substantive information. Our goal was to subliminally show that their companies were indeed the best service providers. After the first two presenters, attendees enjoyed their gourmet lunch inside the conference room and then followed with the other two speakers. The last one to speak was our “office moving expert”—ME. I presented the best methods for selecting an office mover in order to have a great move. Where the other service provider speakers were dry and boring, I teased my audience and had fun at their expense—they loved it! I started my presentation by saying to the group, “I sent all of you some material to read last week, and now I’d like to give you a pop quiz.” Of course, I hadn’t sent them anything beforehand, but it really got their attention. I handed them the following pop quiz and told them they had 5 minutes to answer the questions. 15 seconds later, I yelled, “Time’s up,” and then read each question aloud and gave them the reason the answer was false. (Only the last question’s answer was true.) The audience loved it—they laughed, had fun and got a lot of good information from my silly presentation.